Bears QBs: Controversy or clarity? After a disappointing 2016 campaign, the Chicago Bears enter the last week of the preseason in a murky spot. While their defense and special teams should be at least decent, an improvement over last year’s banged-up squad, the offense has some question marks. The biggest question is who deserves to spearhead the attack at quarterback, Mike Glennon or Mitchell Trubisky? Both have an intriguing case. First, let’s start with the week one starter, Mike Glennon. Though Trubisky is breathing down his neck, head coach John Fox is giving Glennon a chance to impress. Though Trubisky was clearly better in the preseason, Glennon’s veteran status and performance against the Titans at least somewhat justify his starting role. In his fifth season after backing up two quarterbacks with the Tampa Bay Buccaneers, Glennon has the experience of starting several NFL games. Without knowing how Trubisky would adjust, the Bears played Glennon with the first-team offense the entire preseason, so he also brings chemistry with them to the table. Against Tennessee, he completed 11/18 passes for 134 yards and one touchdown, looking especially sharp on a quick first drive for a score. Most people believe that Trubisky will eventually take over in Chicago. After all, the Bears spent the second-overall draft pick on him. Sophomore Arnav Aggarwal thinks the big draft investment is reason enough to start Trubisky now. “[The Bears] spent a very high draft pick on Trubisky, so he should be given a chance because a big part of our draft was him,” Aggarwal said. The only question is if Mike Glennon deserves a chance to play at such a high level that he retains the starting spot. With experience and recent success, John Fox can make a case for Glennon. However, there’s something to be said about superior numbers, which is exactly what Trubisky has displayed so far. After just one year starting with the University of North Carolina, Trubisky has impressed in all three preseason contests in 2017. His final numbers are 34/48 passing for 354 yard and a sparkling 3/0 touchdown-to-interception ratio. Yes, this is a small sample size and he has no NFL games under his belt, but why not start him now and start his development process as a starter? Once Glennon puts up two or three bad showings in a row, the Bears will likely put Trubisky in at starer. However, the statistics favor Trubisky as the better starter right now. 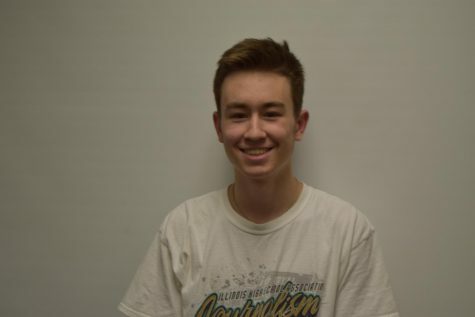 Senior Anthony Aigner thinks waiting with the rookie could have negative consequences down the road.